If you’re doing most of your messaging through WhatsApp and have a reason to keep those conversations extra private, soon you’ll be able to protect them using some of the smartphone industry’s most secure measures: Touch ID and Face ID. That is, of course, if you own an iPhone. Even authorities are having trouble breaking Apple’s locks, so you can be sure that none of your friends will be able to get past them as well. 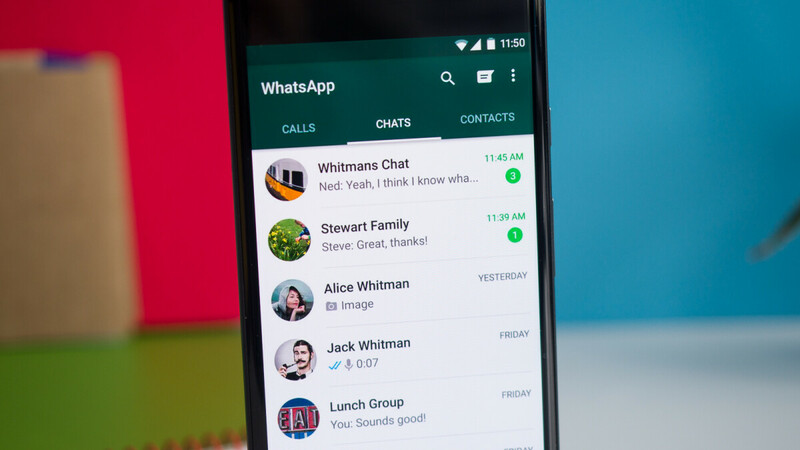 The new feature coming to WhatsApp was spotted in an alpha version of the app that’s not available for download yet. Which ID method you’ll be able to use depends entirely on the iPhone you have, there are no models that have both a fingerprint sensor and a True Depth camera that’s required for Face ID. Once you activate the option for WhatsApp to require one or the other, you’ll have to identify yourself every time you open the app. If the biometric option is used unsuccessfully multiple times, the app will prompt you to enter the passcode for your iPhone. The feature will also give an advantage to WhatsApp Business, an enterprise version of the app that’s also in development. Being able to protect sensitive information can be vital in the corporate world. Before you start worrying that using the feature might compromise your identification methods, we’re here to reassure you that no such thing will happen. WhatsApp will just access Apple’s APIs that will do all the work and tell the app if the unlock was successful or not, everything is staying secured on your phone. There’re currently no hints of support for similar security features coming to Android, but it’s very likely that WhatsApp will implement them into the Android version as well. Authentication in apps is what faceID excels. "you’ll have to identify yourself every time you open the app" And what make it different with the old "app lock" (or whatever it's named) that already on iOS and android? you can use any unlock method that already on your phone for unlock app (6-digit pass, FPscanner, face unlock, etc, and you can even register different pass or fingerprint) on android. It's been a long time since the last time I use iOS, but I remember they already have this feature as well. I agree. FP unlock for apps is standard on my phones. Is there some that makes Touch ID different? The face id option is cool I guess but I don't use or like it. Can't you lock apps with other Android phones? I believe if I'm not mistaken you can lock apps with Galaxy phones and Huawei phones but feel right to correct me if I'm wrong. It seems ios users aren't answering so I can only surmise that there was no app lock feature on ios. I just took it as a given for all smartphones. Then you must be very lonely. Unfortunately it's a necessary evil these days but Signal and Telegram are better. I have been wanting this feature on all my apps since years. Had this when Jailbreak was still a thing. Used to have different password for WhatsApp and pictures. This helped a lot pesky family members and friends who had my phone for random reasons. What bothers me is that, Apple could have released a system wise support themselves like I had with my Jailbreak. This is a good start. Ok... I didn't know iPhone users can do that until I read this article. WTF is this 2012? & Then Apple innovates in this way. It's funny how most of the sheeple haven't commented on this article at all and it's obvious why. It's pathetic that this is only being introduced to ios in 2018. Where are Leo_mc, Rouyal, Creediddy and co now? Truly pathetic.